Giant monsters are awesome! Often appearing as antagonistic forces towards the heroes throughout literature, they take the form of great beasts, huge dragons, and other forms of giant wildlife. 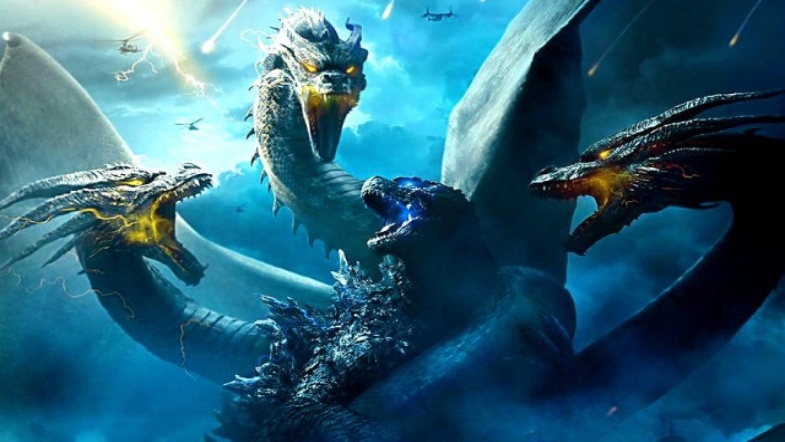 With the new film, Godzilla: King of the Monsters looming on the horizon, here are several books about giant monsters to sate the city-destroying, monster fighting appetites of literature fans. Look out, here they come! Leviathan chronicles the discovery of a giant monster in the Caribbean, found by a marine biologist called Kelly Andrews. Two separate expeditions begin to race to find the giant monster, one led by Andrews with the intention to study it, the other to find and kill the monster. 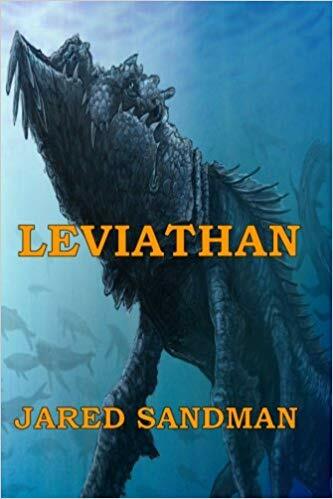 Named ‘Leviathan’, the beast proves itself to be very real and far more ancient than anyone could be suspected. This is a B movie as a novel and it knows it, but it’s a very fun ride. There are no real giant monsters in this novel but it is no less compelling and a great read for any movie/giant monster films. A Hollywood B-movie actor is enlisted into a government propaganda film, donning a giant rubber monster suit and simulate an attack on a Japanese city. 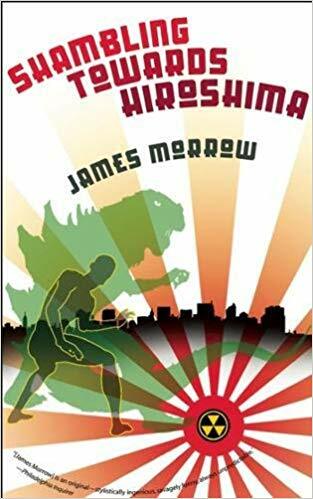 Designed to scare the Japanese into surrendering to avoid the use of nuclear weapons, the novel blends hilarious Hollywood satire with a love of corny monsters and real world history that adds an aura of tragedy to the entire affair. 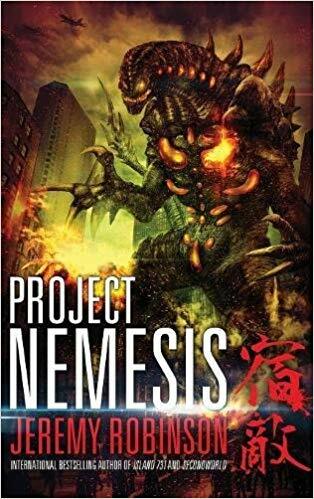 Project Nemesis is a classic giant monster novel. The story follows Jon Hudson, a government agent in a dead-end job in a paranormal division, which hasn’t yielded anything and leaves him bored out of his skull. But when he and his team finds an abandoned research facility, a monster escapes from the facility, codenamed ‘Nemesis’. Nemesis begins to evolve, mutating into a giant monster that’s headed straight for a major city: Boston. As the military mobilizes, Hudson struggles in a race against time to find the monster’s origins and stop it before it destroys Boston. 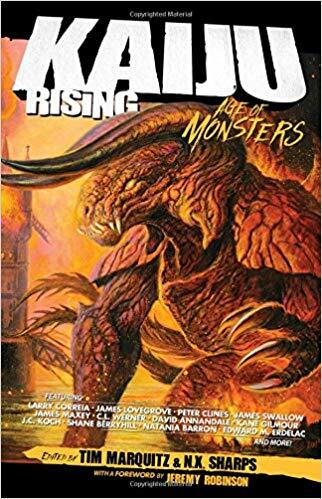 This collection is an anthology collection, showcasing numerous short stories centered around giant monsters from a variety of science fiction authors. The anthology contains numerous compelling short stories around giant beasts, such as a giant orca-man who becomes famous for trashing Hollywood, a demonic lamb Vs the Statue of Liberty in an ultimate showdown, Greek demigod monsters being summoned to fight in World War II, or a collection of miners unearthing a giant monster in the Old West by accident. With so many stories in here, there’s enough monster action to satisfy any Godzilla fan! Check it out! What are some of your favorite giant monster books? Let us know in the comments! While seeing your story on screen can be exciting for many authors, when it comes as a shock and hasn’t been attributed to you, well, things can get confusing and awkward. This is the latest ordeal for legendary children’s author and illustrator Chris Riddell who has accused department store company John Lewis of plagiarizing a character from his 1986 picture book Mr Underbed in a recently released Christmas advertisement. The character in question is a big blue monster who lives (and sleeps) underneath a child’s bed and keeps the child awake because of his boisterous snores. The advertisement, as Chris Riddell compares in his following tweet, showcases a similar monster, Moz the monster, who shares uncanny similarities to Riddell’s character. John Lewis responded to the growing attention, denying that the character was based off Riddell’s story. “The story of a big hairy monster under the bed which keeps a child from sleeping is a universal tale which has been told many times over many years,” a John Lewis spokeswoman said. John Lewis released the advertisement last week and, given that the ad cost a staggering $9 million, we’re surprised the idea isn’t a little more original. While it is certainly cute, it does share parallels with Riddell’s character. Then again, perception is subjective. What are your thoughts? Let us know in the comments.